Version 0.7.0-beta of the Exchange extension brings a large number of additions and improvements. Most of these are due to user feedback, so a big thank you to everyone who submitted feedback on the forum! When using these new static templates it is necessary to specify a market. Understand that there are pros and cons between using the static or the default (dynamic) templates. For example, with static shortcodes, the UIs will not refresh unless you refresh the page, and the amounts displayed in tables are not clickable. Please see the accompanying documentation for details on how to use the shortcodes. Users now have one API key for accessing both the wallets functionality and the trading functionality of the Exchange. Users no longer need to specify a __wallets_user_id argument or a __wallets_exchange_user_id argument. 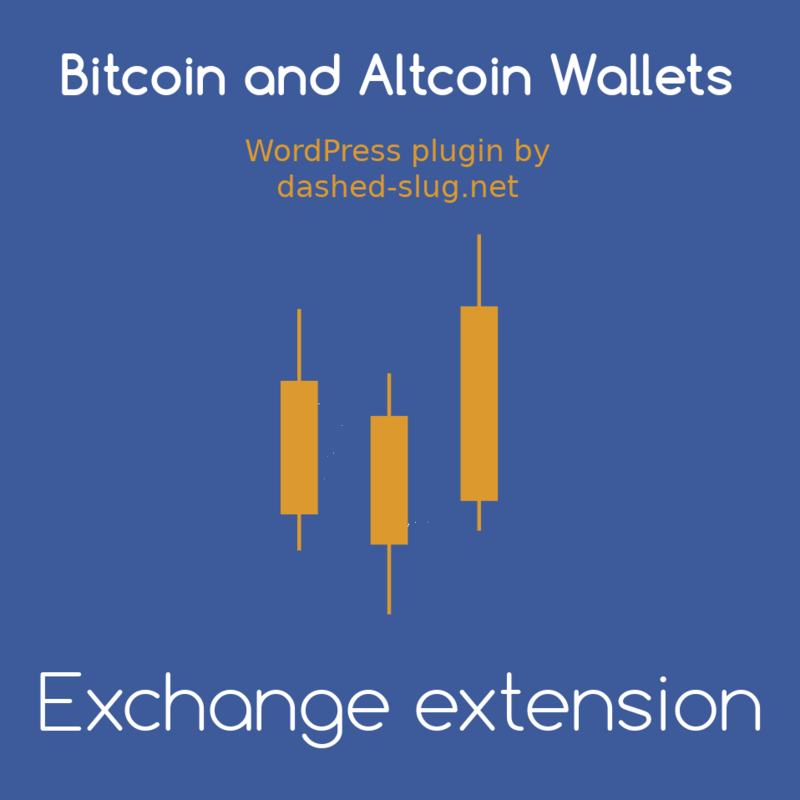 The [wallets_exchange_api_key] shortcode has been deprecated. Use [wallets_api_key] instead. These changes require that you upgrade to the latest version 4.2.1 of Bitcoin and Altcoin Wallets. Add: All shortcodes now have a static template. This allows the creation of SEO friendly pages, as the data is rendered as HTML on the server side. An additional market attribute is required. See the docs for details. Add: The table headers “Amount”, “Total”, and “Sum” now also include the corresponding coin symbol where applicable. Improve: The market orderbook (bids/asks) and the market history can now be displayed without needing to log in. Change: The [wallets_exchange_market] shortcode no longer uses radio buttons to allow market selection in its default view template. Instead the user can click on any part of a market row to select the current market. Fix: When switching between markets, the default buy exchange rate for a market without bids, and the default sell exchange rate for a market without sells is set to zero to avoid user errors (previously would remain at previous value). Fix: The maximum suggested buy or sell amount is always rounded downwards to the 8th decimal, thus the amount cannot be rejected any more due to the available balance amount being rounded upwards. Change: In all frontend HTML tables, the last column fills the remaining table width. Change: There is no longer a separate JSON API key for the Exchange, the one from the parent plugin is used. Fix: When unable to render a shortcode, there is no longer an ob_end_clean() warning. Change: Data in numeric columns is now right-aligned. This helps visually, as the decimal points now align vertically. Change: When accessing the JSON API for trading using a key, the user ID no longer needs to be specified.